Gone are the days of Friday Traffic Mayhem as it is now happening daily. It’s getting worse and worse. And when you finally reach your destination… SURPRISE, party in the parking lot! But I am so thankful for cab apps like Uber and GrabTaxi for making it more bearable living in the city. Lately, I noticed that Uber’s fare is cheaper than GrabTaxi’s (or even a normal cab’s). 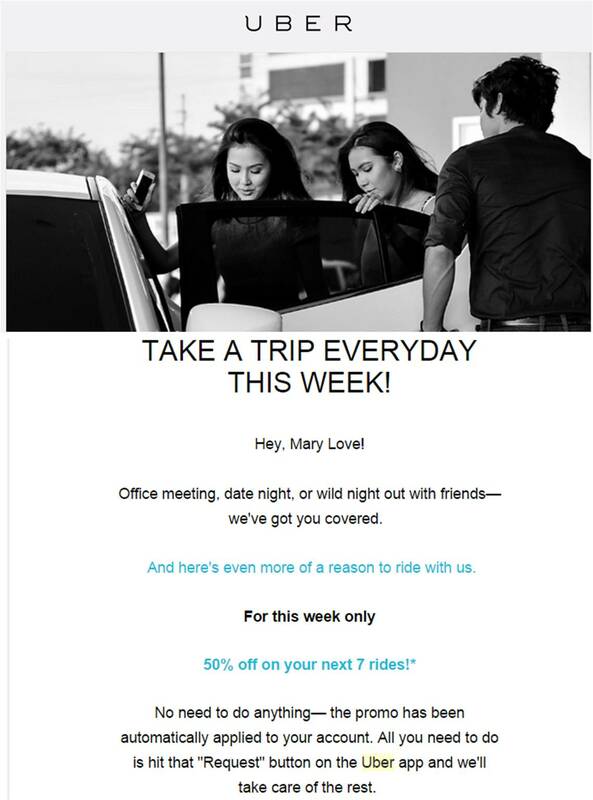 And to make things even better, I got an email from Uber that they are slashing 50% off my next 7 rides until July 26! Yes, SEVEN rides! But nope… too busy. Then again, it did help me save the company some money when I went out for a meeting. My fares from Taguig to Makait and back were just PHP55 and PHP51 versus the usual PHP120! Oh yeaaaaah! I also went to SM Aura to buy some bed sheets (duvet covers are 50% at Living Well!) and with surcharge, I just paid PHP50. 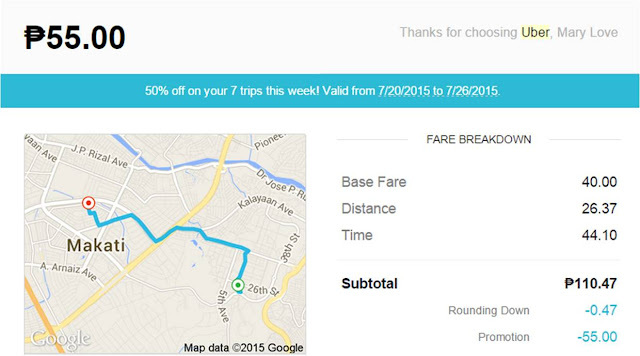 At first, I thought that all Uber users get the same deal but M just got 20% off and K doesn’t even have any discount. So you better check your email first before booking. P.S. You might also want to try GrabCar. You get PHP100 off your fare when you use the promo code umbrella.